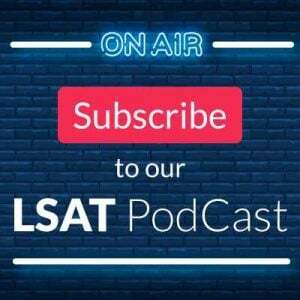 When preparing for the LSAT, students inevitably run into the Logic Games section (also known as Analytical Reasoning), and for many, this is the toughest section on the test. 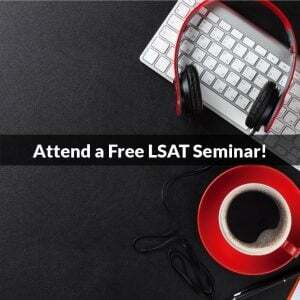 If Logic Games are generally difficult, why then would we choose to write about the hardest LSAT games ever to appear? The short answer is that there are tremendous benefits to be gained by reviewing these games, and subsequently understanding how to recognize them and deal with them. You can avoid doing the game until later. By pushing back the most difficult game in a section until the very end, you get more “bang for your buck” with the time you spend because you will be working on material that is easier to answer. You avoid the psychological damage from getting trapped in a hard game. Students who encounter a tough game relatively early in the section often suffer a shot to their confidence because such games are normally frustrating and time-consuming. The frustration translates into added pressure, and any additional pressure on a test such as the LSAT can lead to more missed questions. And, when a game takes more time than expected, not only does your level of frustration rise, but you are forced to work even faster on the remaining games in order to make up for lost time. You gain a confidence edge because you know that you have identified a game that was intended to consume time. While getting trapped by a tough game can be frustrating, knowing that you have avoided an LSAT black hole often brings renewed energy and confidence. This extra energy and confidence leads to faster, more accurate performance on the remaining questions, leading to a better LSAT score. So, with that in mind, let’s move on to the list of the 12 hardest LSAT games of all time. The list is presented in chronological order. 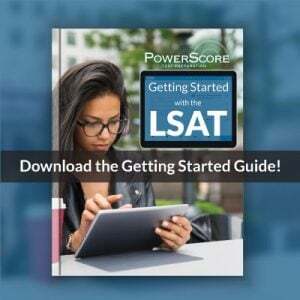 Although we can no longer offer direct downloads of the games (LSAC rules), this publication identifier link will tell you where to find them: https://www.powerscore.com/lsat/help/pub_ident.cfm. Grouping: Defined-Moving, Balanced, Numerical Distribution. This is the most difficult Numerical Distribution game to ever appear, and students without a strong grasp of distributions invariably struggle with this game. Advanced Linear: Balanced. Not only was this game tough on its own merits, but it followed the Hannah game, leading to an unsavory double punch to end the October 1991 LSAT Games sections. Advanced Linear: Unbalanced: Underfunded. This game contains a key inference that is extremely difficult to deduce during the setup. This unusual game features 7 jugglers for six spots, with those six spots divided by group and with order assigned. Lovely. And by lovely we mean terrible. Grouping: Defined-Moving, Balanced, Identify the Templates. This game combines Grouping and Sequencing, forcing students to determine the sports played by each person, and then the ranking order of those players. Grouping/Linear Combination, Numerical Distribution, Identify the Templates. This is a rough game, and even the Templates approach does not make the game much easier. Grouping: Undefined. This game is often cited as the hardest game of all time. Ten CDs are candidates for a sale, and the rules are all multi-conditionals. The game is quite time-consuming (although not necessarily intrinsically difficult), and that time factor vaults it into the ranks of the hardest games ever. Grouping: Defined-Moving, Unbalanced: Overloaded, Numerical Distribution. This game features a jeweler selecting six stones for six different rings. The distributions are open-ended, and there is a lot of information to juggle. Grouping: Partially Defined. This game is about flight connections between five cities, and the geographical element prompted many study to map this game out. There is an excellent, helpful map that can be drawn, but it is one that many students don’t see. Grouping: Defined-Fixed, Unbalanced: Overloaded. This is one of the most widely despised games of the last five years. Five dinosaurs are selected form a group of seven different dinosaurs, and then to add to the fun, the dinosaurs also have different colors, such as mauve and yellow. Grouping: Grouping: Partially Defined, Numerical Distribution. This is a rough game, and probably in the running for the second hardest game of all time. Very involved, and without the nice Grouping inference seen in the Dinosaurs game. Linear/Mapping. This is one of the most unusual games in LSAT history, and it stumped many excellent test takers. Identifying the entry point of the virus is critical, and from there the possible outcomes are limited. But many test takers struggled to create a diagram, making this game feel nearly impossible. See our LSAT Forum for a free video explanation of this game! Honorable mentions: February 1993, Game #3: Datalog; June 1995, Game #2: Zendu Air Zones; June 1998, Game #2: Tourists and Languages ; October 1999, Game #2: Mannequins; June 2002, Game #3: Book Shelves, among others. One striking thing about the list is the lack of particularly hard games since the year 2000. Only three of the elevenn games are from the past ten years, which supports the contention that the Logic Games section on recent tests has been generally easier than in the past. While that trend may not continue, in retrospect one can see that the recent era has been relatively kind to those who tend to have difficulty with Logic Games. One final note about the list: by definition, any list such as this one is subjective, and what is difficult for one student may not be difficult for another. Some games have been left off the list because with the application of the right technique, an otherwise difficult game can become quite easy (June 2002, Game #3: Book Shelves game, for example). But, regardless of your personal view, the games above are ones that students generally regard as the toughest in LSAT history. If you really want to give yourself a workout, try taking any four of these games and doing them as a complete section. It’s a challenge!